Dark gray accented bill and stitching give this hat a unique look. 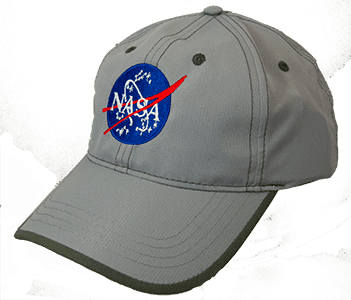 Lightweight with classic NASA meatball logo. Adjustable rear strap.